Following 2014 merger, the company will put "all practice management help under one roof" for advisors. At Herbers’ renamed firm, Kaleido Inc., advisors will get all the practice management help (excepting compliance) they need to build that foundation, Herbers said in an interview about Kaleido and its business plan. The San Diego-based company was formed last year through the merger of Herbers’ Angie Herbers Inc. and Kristen Luke’s Wealth Management Marketing (Disclosure: Herbers has long written for Investment Advisor and ThinkAdvisor). 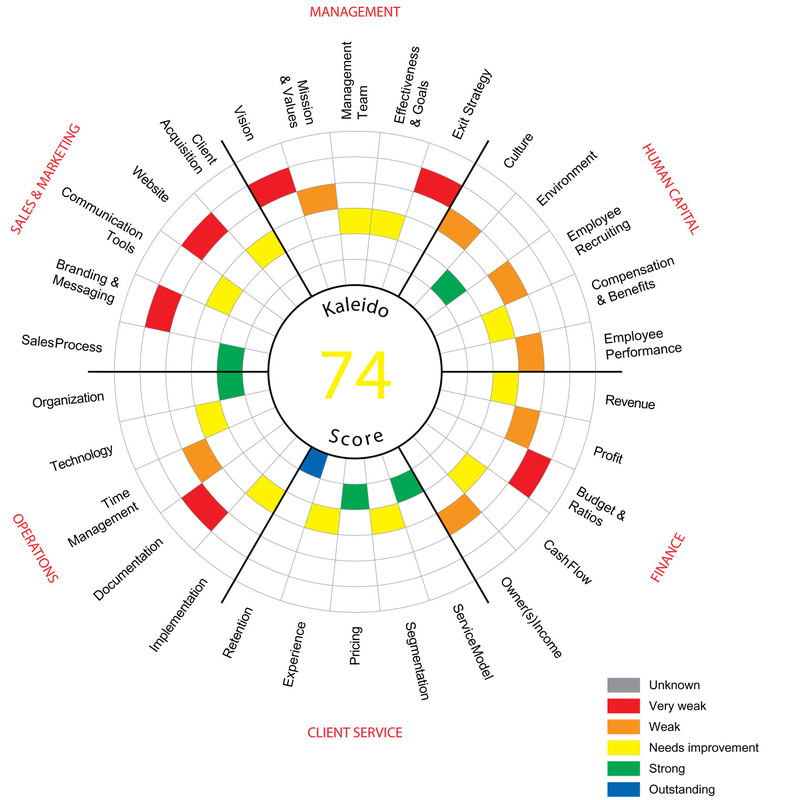 Using a free software tool called the Kaleido Scope, advisors can perform a self-assessment of their business that gives them a graphic perspective, resembling a kaleidoscope, that clearly shows in a color-coded way which issues they need to work on to achieve their growth goals. The Kaleido Scope asks a number of questions to identify where a firm is and where it needs to be. “Do you have a vision statement that’s memorized? Do you have motivated people? Do you have a formal exit strategy? These are all questions we’ve asked our clients in the past,” Herbers says, referring to her firm and Luke’s. “Kaleido Scope tells you what the solutions are,” based on data from the years of consulting work that Herbers and Luke have done for advisory firms. Beyond using the tool, Kaleido is offering Synergy, what it calls “the first and only integrated practice management offering” for advisory firms that covers management, client service, human resources, sales and marketing, operations and corporate finance. That integrated approach, solving the issues identified in the Kaleido Scope, is a process that requires a commitment from firm owners and hard work. “To grow,” says, Herbers, “takes a lot of work and time,” along with consistent efforts, especially in marketing. Many advisors believe that to grow all they need is a good marketing plan, but before such a plan will work, the firm must have the capabilities and capacity in-house—i.e., build the foundation first before attempting to grow the firm.